PIRELLI DIABLO SUPER CORSA 2 is a tubeless radial front two wheeler tyre. DIABLO SUPER CORSA 2 is suitable for bikes with tyre size 120/70 17. Its width is 120 mm, profile or aspect ratio is 70% of width and it fits wheels with a rim size of 17 inches. It has a load index of 58Speed rating of this tyre is "W" which means the maximum speed limit this tyre can support is 270km/ph. It has manufacturer warranty. 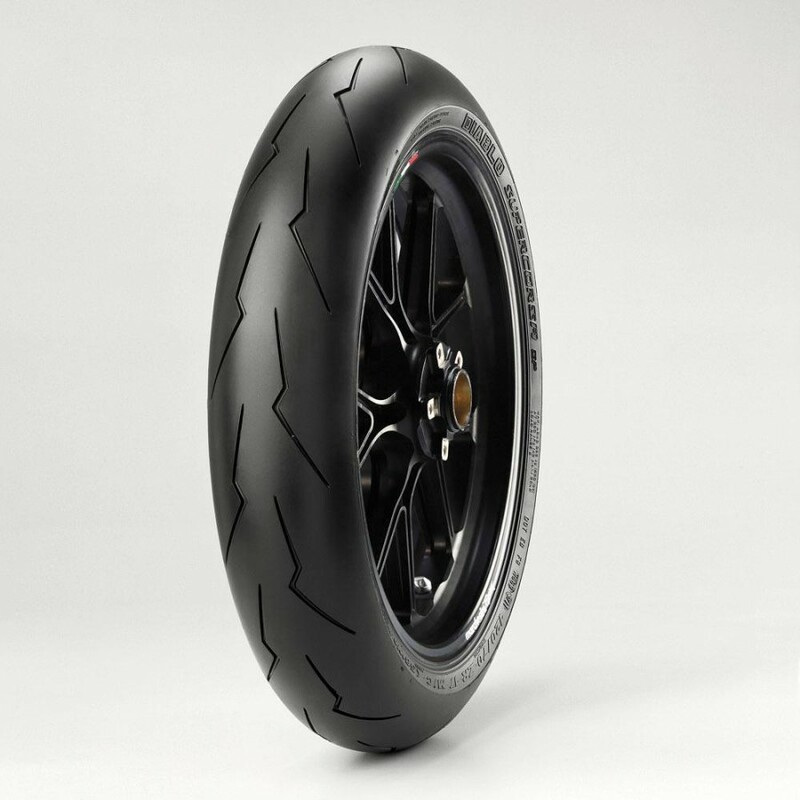 This Tyre fits in the following bikes: 848 Evo, 899 Panigale white, African Twin, Aprilia Caponord 1200 ABS, Aprilia Caponord 1200 ABS Travel, Aprilia Mana 850 GT ABS, Aprilia RSV4RR, Aprilia Tuono V4 1100, Bandit, Bellagio, Benelli TNT 300, Benelli TNT 600GT, Benelli TNT 600i, Benelli TNT 899, Benelli TNT R, BMW K1300 R, BMW K1300 S, BMW K1600 GT, BMW K1600 GTL, BMW R nine T, BMW R1200 R, BMW R1200 RT, BMW S 1000 R, BMW S1000 RR, Caponord, CB, CB1000R Standard, CBR, CBR1000RR, Daytona, Diavel, Dorsoduro, Ducati 1199 panigale, Ducati 1299 Panigale, Ducati 959 panigale, Ducati diavel, Ducati Diavel carbon, Ducati Monster 1200, Ducati Monster 1200 R Red, Ducati Monster 1200 S, Ducati Monster 1200 Standard, Ducati monster 821 dark, Ducati Multistrada 1200, Ducati Multistrada 1200 pikes peak, Ducati Multistrada 1200 S, Ducati panigale R, Ducati X Diavel, ER-6n, EXL, FZ, Griso, GSX, Hayabusa, Hayate, Hypermotard, K Series, Kawasaki Ninja H2, Kawasaki Ninja Super Sport, KTM Naked, KTM Sports Tourer, KTM Supermoto, Mana, Monster, .